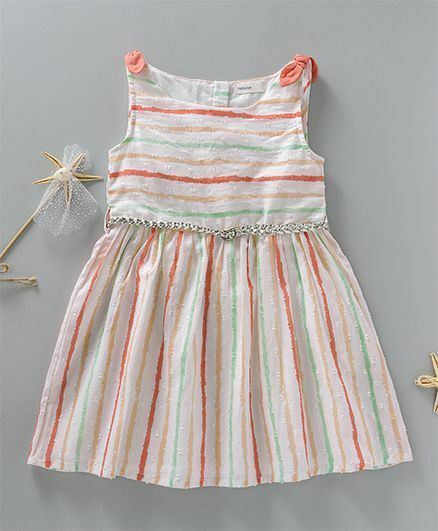 Beautiful sleeveless frock from the house of Babyoye. Round neck and pull over style of dressing makes the frock a delight to wear. 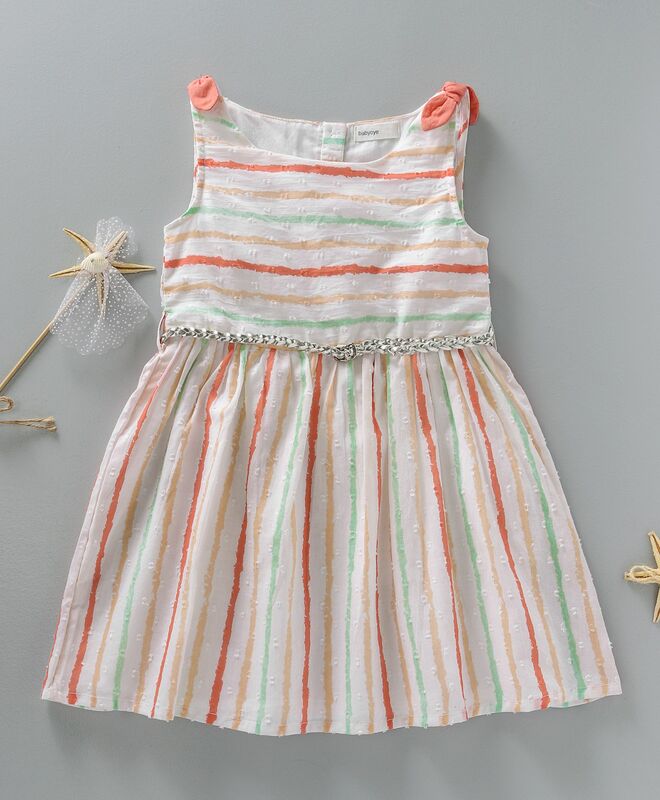 Stripes print makes the frock even more appealing. Made from skin friendly fabric so that your darling gets maximum comfort all day long.